Board games in coffee cups! It's a Scrabble board game in a coffee cup, with a clear dome design displaying the game pieces! 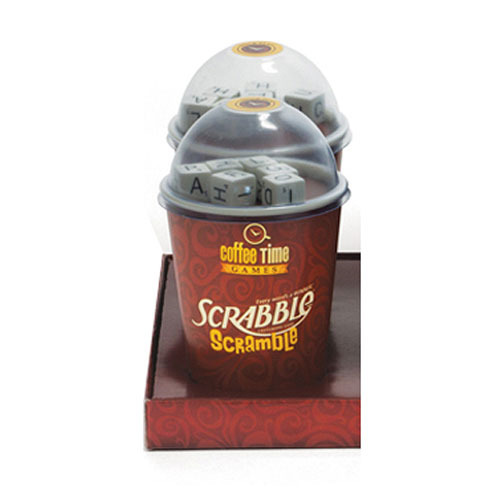 The Coffee Time Games Scrabble Scramble Board Game's compact and convenient design makes this game perfect for travel! Great fun for 1 or more players! Game cup measures aboug 6-inches tall. Ages 8 and up.